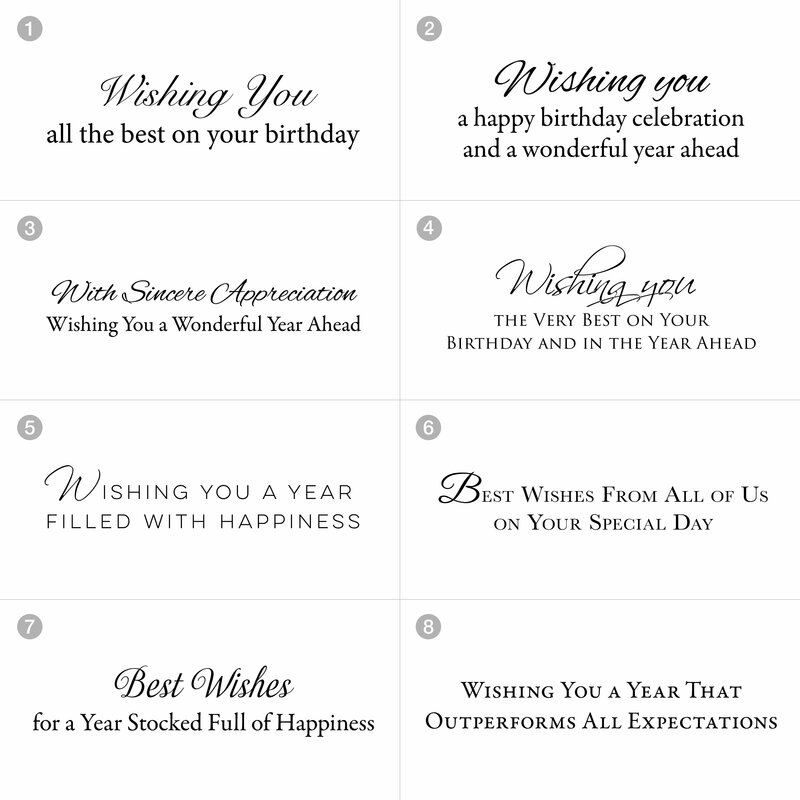 PREMIUM - A rich choice for your business, a dark navy background enhanced with gold foil embossed details and happy birthday text. 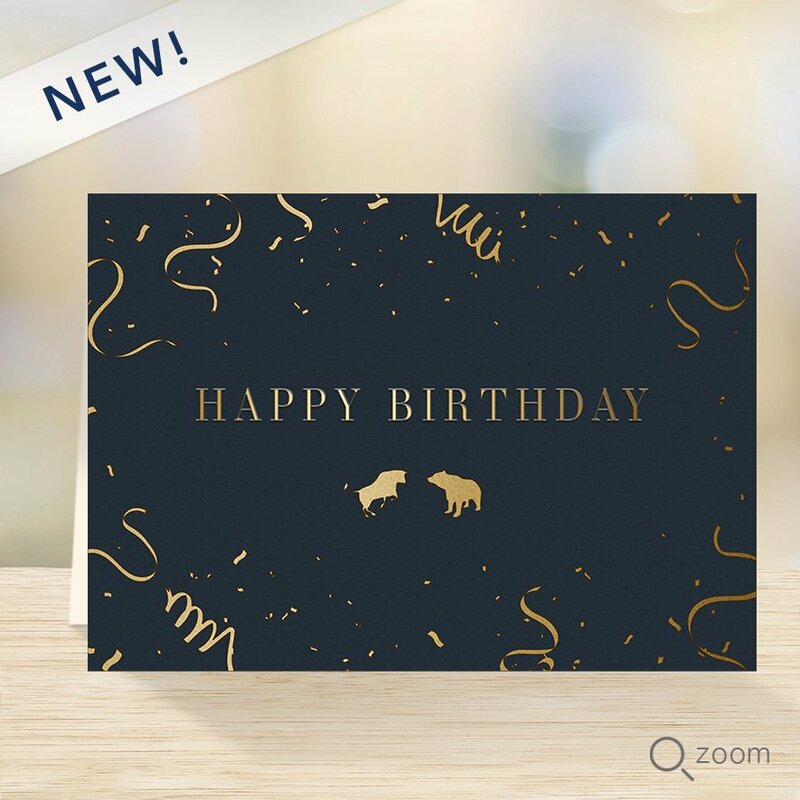 The financial bull and bear icons in gold foil are sure to impress. Choose an inside verse at no additional cost.